All eyes are on the Natadola Bay Championship Golf Course as we head towards May and the Pure Fiji Ladies Open. Getting to the business end of the competition, the men will get their chance to prove their skills in June with the Nadi Airport Golf Club's Nadi Open. 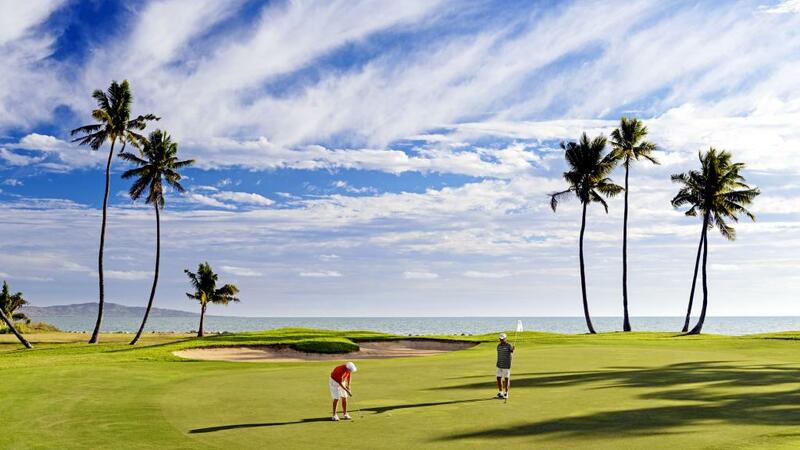 As the competition slowly whittles down to its best players, the Pearl at Pacific Harbour will host the Fiji Open followed by Natadola Bay and the Denarau Golf and Racquet Club to host the Starwood Classic. The results of these events will determine the men's team selected to represent Fiji in the Asia Pacific amateur event the Nomura Cup in August, also held at the Natadola Bay and the Denarau Golf and Racquet Club golf courses. Whether you consider yourself an amateur, a pro or somewhere in between, there are plenty of places to practice your swing in Fiji. There are actually 13 golf courses in total on the islands ranging from 9 holes to 18 holes and pars of 27 to 72. Fiji golf courses include the Ba Golf Course, Labasa Golf Club, Lautoka Golf Course, Rakiraki Golf Club, Shangri-La's Fijian Resort, Shangri-La's Fiji Mocambo, Fiji Golf Club - Suva, The Naviti Resort and Taveuni Soqulu Plantation as well as the previously mentioned Denarau Golf and Racquet Club, Nadi Airport Golf Club, Natadola Bay Championship Golf Course and Pacific Harbour Golf & Country Club. Some of these golf courses are lucky enough to be attached to wonderful hotels and resorts that offer an excellent stay and play option. Part of the Sheraton Fiji Resort, the Denarau Golf and Racquet Club is the premier championship golf course in the South Pacific. The Novotel Hotel Nadi is home to the Executive Golf Course which offers a challenging, steeply sloped course. The Shangri-La Fijian Resort is also home to an Executive Golf Course which features Tifton Dwarf greens, sand traps and a double water hazard. 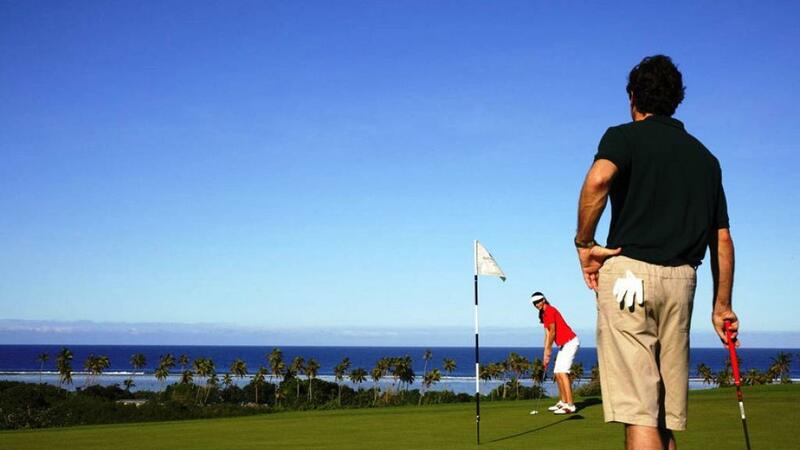 Finally, the Intercontinental Fiji Golf Resort and Spa boasts the Natadola Bay Championship Golf Course offering a surreal golfing experience right on the edge of the ocean.